Short Story - Big Impact! Alena Brennan’s relationship with Andre Makarov is...complicated. The casino magnate was a means to an end. Nothing more. At least that was what she tried to tell herself. Then she fell for him. Hard. But he kicked her out of his life when he discovered her lies. Now she’s pregnant with his baby. Andre understands why Alena wanted revenge. His father took everything from her, leaving her an orphan at a young age. But Andre still had to cut her out of his life. Now that his father is dead, she’s safe. He should just move on. But when he learns she’s carrying his child, all pretense is gone - he’ll protect Alena whether she likes it or not. She may kick up a fuss, but Andre knows the gorgeous model with a party-girl rep attracts attention...including the dangerous sort. 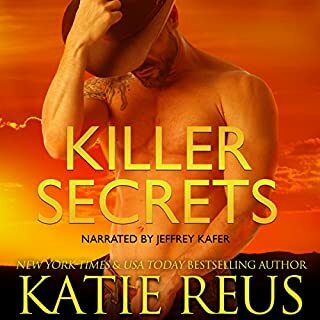 This is a great book; this is the second book in the Retribution series written by Katie Reus and narrated by Jeffrey Kafer. This is a great book with a wonderful story and well developed characters. The story flowed very well and was very enjoyable. This book will keep you reading long into the night and you will not want to put this book down until you finish. This was such a great read and full of surprises. The narrator did a wonderful job with this book. He did a great job with the different voices of each character in this book. It was very easy to listen to and I didn’t want to stop listening until the end. If you are looking for a great book with well-developed characters then you need to listen to this book. I am looking forward to listening to the next book by this author and narrator. I voluntarily reviewed an advanced reader’s copy of this book. The free book held no determination on my personal review. Revenge is a powerful force. Alena Brennan knows first hand how it takes over your life. It cost her the love of Andre Makarov because of it. What is she going to do now that she's pregnant with his baby? Alena is a powerful heroine. She's determined to kill Andre's father. He was responsible for the murder of her parents. I wanted these two to find a way to become a family. I felt the love and passion between them. I didn't want the evil of Andre's father to keep them apart. Tempting Danger is an emotional story. I loved the setting and enjoyed catching up with Declan and Nika. 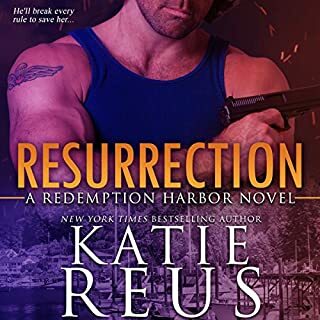 Katie Reus is a favorite author. Her stories are both romantic and suspenseful. The narration by Jeffrey Kafer adds to the drama. I loved listening to Tempting Danger. Katie Reus has written the story of Alena and Andre who we meet in the book Retribution. While a standalone novella, this book is best served if you listen to it after Retribution. Alena and Andre have a complicated past. Their paths crossed when Alena was avenging the murder of her parents. Andre was collateral damage, but she did not plan on falling for the man. Now their future will be forever entwined, but will their love come through? I love the complex characters that Reus creates for her stories, giving both strength and vulnerability. This story is a wonderful culmination of the first and this couple for all they went through in Retribution deserved to have their story told. Jeffrey Kafer continues his narration of this story, giving the voices back to these characters. He gives this couple their time with the skilled performance we enjoy. We finally get Andre and Alena's story. 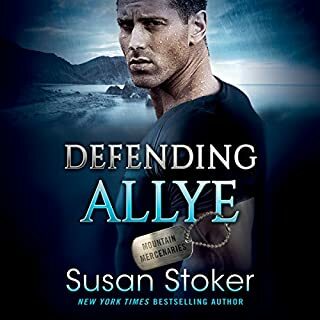 :)I recommend you read/listen to the first book in this series as well.Katie always writes yummy alpha men that are not jerks. :)She is an autobuy for me. What did you love best about Tempting Danger? It gives us another sister and her troubles with an Alpha male. It also gives us suspense with a bit of drama. I absolutely love how Jeffrey Kafer the narrator brought this story to life. I also read the book previously but nothing compares to it being narrated it's like the characters emotions are out there for you to hear and feel. We also get a bit of suspense with this one. Fantastic story and I am anxiously awaiting the next story in this series. Loved the ebook, loved the audiobook even more! 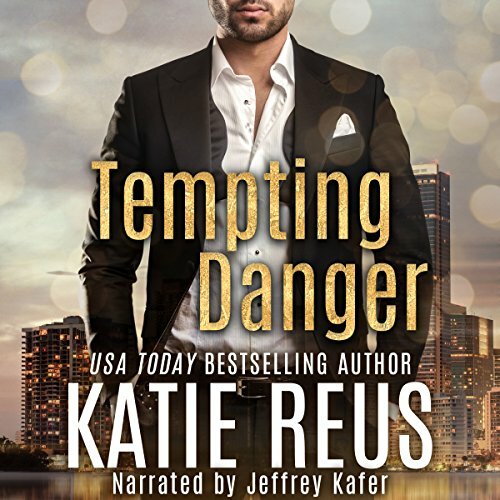 I initially read Tempting Danger but loved it so much when I had the opportunity to get the audible I lunged at it. Jeffrey Kafer does an exceptional job of adding depth to these characters. His voice is deep and smooth and exactly as I imagined Andre would sound. I don’t always like the way a male narrator does the heroine’s voice but I was thrilled that Kafer was able to pull Alena’s off in a completely natural style. What began as a great read for me has now been elevated into an incredible listening experience thanks to his talent. I will definitely be watching for his name the next time I’m selecting an audiobook! Alena used Andre to get close enough to his father in an attempt to kill him. Revenge was all she had planned. Unfortunately, along the way she had fallen for the son of her enemy but now he has shut her out of his life. Circumstances dictate that she contact him again, but she’s wary and holds off until the night he overhears her talking to someone. Andre hates that he tossed Alena aside after her attempt to end his father. How was he to know if what they had shared was real and if the woman she presented to him was the real her or a fraud? Now that she’s back in his life he’s going to do anything and everything to tie her to him. This is a fast paced read with well-rounded characters and great chemistry between the hero and heroine. I loved that Andre went after her with everything in his arsenal, all while utilizing what he knew about her. The epilogue was perfect and this author once again proves she knows how to do heroes right. Is to love and work through the problems. If you could sum up Tempting Danger in three words, what would they be? Andre as he corrected the problem of letting Alena go. Police station when both finally confided in each other about their feelings. This is the story of Alena Brennan and Andre Makarov. We 1st met them in the book Retribution. You don't have to have read it before this one though. Alena used Andre to get in position to take revenge on his father for the murder of her parents. Andre broke off with her even though he loved her after finding out she used him. Alena fell in love with him at the start. When they are in the same vicinity again Andre finds out that Alena is pregnant. This is a very enjoyable story. This book is narrated by Jeffrey Kafer who has a most enjoyable voice to listen to. I always enjoy a book by Katie Reus. I highly recommend this one. This is another great story from one of my favourite authors. I read the book first and I was really looking forward to listening to the recording. I was not disappointed. This is a very exciting story and it lends itself very well to being read allowed. The narrator is really good and did a great job. It is well worth listening to and I look forward to the next one.